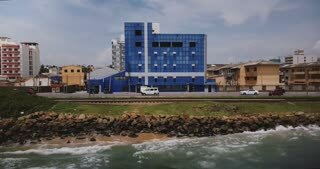 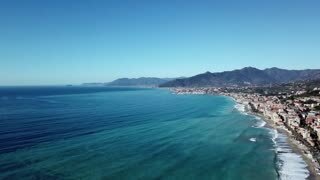 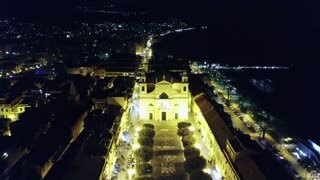 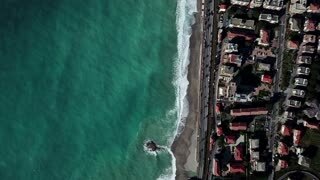 AERIAL: Approaching a large international sea port next to a quiet coastal town. 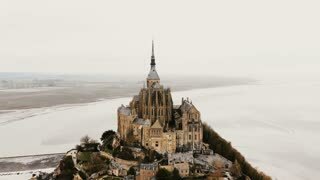 Drone flying left around Mont Saint Michel, famous tidal island town and ancient travel landmark at misty white sea. 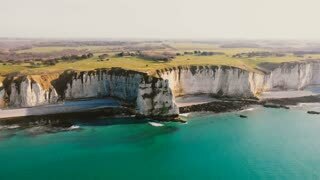 Drone is slowly approaching epic sunset white chalk cliffs and green fields above azure sea coastline in Normandy. 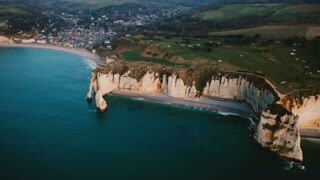 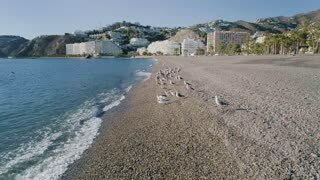 Drone panning right high above epic sunset sea shore with white chalk cliff coastline and beautiful town of Etretat. 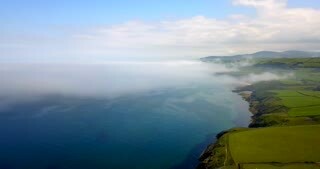 Drone approaching epic white chalk cliff bay coastline and amazing azure sea near beautiful town of Etretat Normandy.